Driver’s License Restoration in Michigan – Can I go to Circuit Court for a License? As a License Restoration Lawyer, I help people understand the License Restoration process and answer lots of questions about it. It has been my hope that the numerous articles on the Blog in the Driver’s License Restoration category can help explain the process and answer many of those questions. Generally speaking, the answer is “no,” but there is an exception, although it applies to a small, and shrinking group of people. The reason I point it out is that in the last year alone, 2 of the License Restorations I handled fell into this category. For anyone whose last DUI occurred in 1991, or earlier, then the possibility of going to Court and getting a License Restored does legally exist. If a person’s last DUI occurred in 1992, or any time thereafter, then there is NO possibility of having a Revoked License Restored in Court. Here’s why: In 1992, new DUI laws went into effect that completely eliminated what were known as “Hardship Appeals” in License cases. A Hardship Appeal simply meant that a person whose License had been Revoked for multiple DUI’s could go to Court, and demonstrate how not having a Driver’s License was a hardship upon them, and ask the Court to grant some kind of License. That whole process was eliminated by the 1992 law, and from that point forward, any new License Revocation could not be undone except by a License Appeal to the Michigan Secretary of State’s DAAD (Driver’s Assessment and Appeal Division, which was then known as the DLAD, or Driver’s License Appeal Division). Beyond where the Appeal was to be filed, the whole hardship thing went out the window. In other words, it couldn’t matter less how difficult life became without a License. Hardship was no longer a basis, or even part of one, for a multiple DUI Revoked License Appeal. New rules governing License Appeals went int effect. In other Blog articles, I have examined and explained this rule in detail, and an examination of it is not relevant here, except to point out that this whole big thing is what took the place of simply appealing to a Court and showing how badly a License was needed. If you think about it for a moment, you begin to see that nearly 20 years have passed since the law changed. In practice, this means that the majority of the Judges an otherwise eligible person would appear before haven’t been Judges since before the law changed. In fact, may of them weren’t even Lawyers yet. I was admitted to the Bar in 1990, just 3 years before the law changed, and I’m considered a veteran Lawyer. 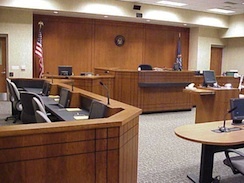 This means that even if a person is eligible to appeal to Court for a License Restoration because their last DUI occurred before 1992, there’s a darn good chance that any Judge to whom their Appeal would be assigned is unfamiliar with the applicable law, and has never done one of these before. Those two cases I mentioned earlier each stands as a good example of how this can play out. In the first case, my Client, a 60+ year-old grandmother, had lost her License back in 1991 for multiple DUI’s. She had been married, and her husband had driven her wherever she needed to go after her License was yanked. That worked well, until he passed away, and she was suddenly without a ride to take her anywhere. She had multiple “Additional Revocations” which made her ineligible to file for a License Appeal until the year 2035. Yes, you read that right. And that whole topic will be the subject of the next article on this Blog. Because those extra-long Revocations became obsolete in 1998, due to another change in the law, she was eligible to file an Appeal to set aside those Revocations, which, if she won, would at least allow her to at least file thereafter for a License Appeal. So that was our first move. My Client lives in Wayne County, so her first Appeal, to set aside those additional long-term License Revocations, was filed in the Wayne County Circuit Court. Wayne County is still, by far, the biggest of the 3 Counties, with the biggest Court, to boot. Yet even there, when we appeared before the Judge, he was somewhat unfamiliar with the law in this area (look, I specialize in this stuff, but except for those who do this stuff all day, it’s not a common or regular thing). Fortunately, the Michigan Attorney General was there, as well, and confirmed to the Judge that he could do what I was asking him to do. The Judge did, then set aside my Client’s other License Revocations, thus making her eligible to file a License Appeal. As we discussed it in Court, it became obvious that the Judge had had enough of learning the law, and clearly “suggested” (his words, not mine) that any License Appeal be filed with the Secretary of State, who also and always has jurisdiction over License Appeals. As it turns out, we won the Appeal before the Secretary of State, and my Client was finally re-licensed after nearly 20 years. In the other case I mentioned, my Client was just plain eligible to file for a License Appeal in Court. He didn’t have any additional Revocations, and because his last DUI happened in 1991, had been eligible to appeal since about 1996. We filed his case in the Macomb County Circuit Court (across the street from my office) and were assigned to a Judge who has been on the bench for less than 10 years. This Judge is very diligent, and at least read up enough to know about the particulars of a law that changed before he ever even got out of college, much less law school. He heard our appeal, and granted my Client his License based upon a showing of a hardship. Of course, the fact that my Client had not had any legal troubles since his last DUI nearly 20 years ago, and could honestly tell the Judge that he had gotten sober many, many years ago, and was committed to sobriety for the rest of his life, surely helped. As we have seen, if a person has had their License Revoked for 2 DUI’s within 7 years, or 3 or more within 10 years, and the last DUI occurred before 1992, they are still technically eligible to file a Hardship License Appeal in the Circuit Court for the County in which they live. In most cases, I would probably suggest going to Court first, as the standards by which any License is granted is, at least technically, a bit easier. Anyone whose last DUI happened in, or at any time after, 1992, however, cannot appeal to Circuit Court, and must file a License Appeal through the DAAD. In our next article, we’re going to examine the “gap” provision regarding License Revocations that occurred between 1992 and 1999 and see how pretty much all License Revocations that occurred after January 1, 1992, but prior to October 1, 1999 can be set aside, so that a person can at least clear the way to file a License Appeal with the DAAD.